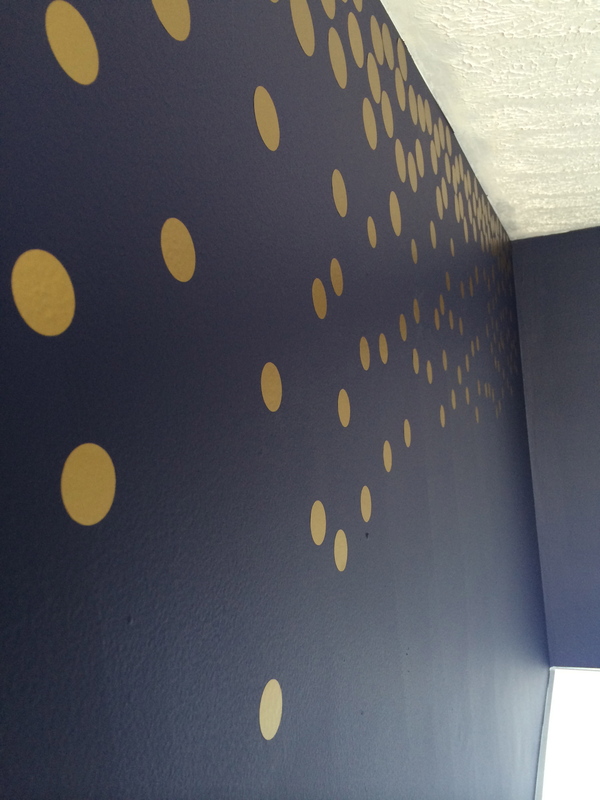 When we first bought our house a couple months ago, I had the idea stuck in my head to paint below the chair rail metallic gold stripes and above a bold, dark color. 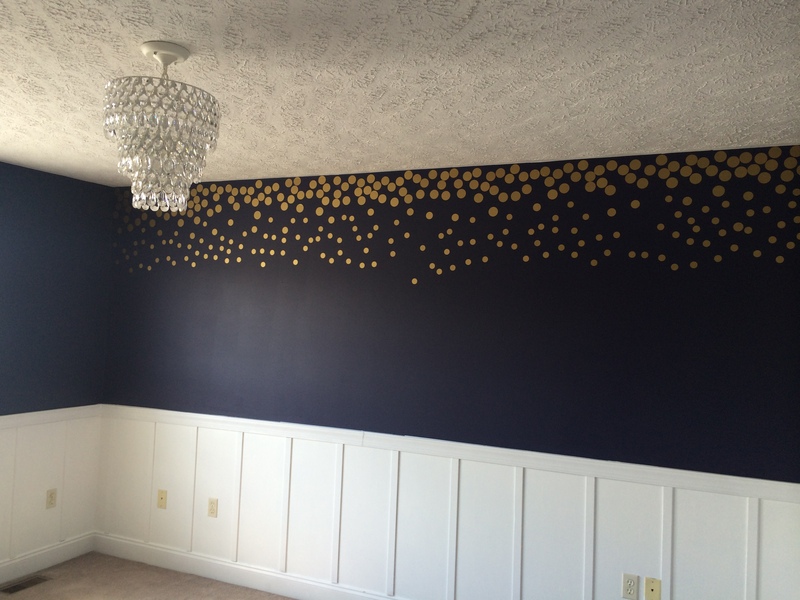 After painting two rooms I realized I did not want to put forth much effort in painting stripes (I’m sure it wouldn’t be too bad, but I wasn’t up for it). 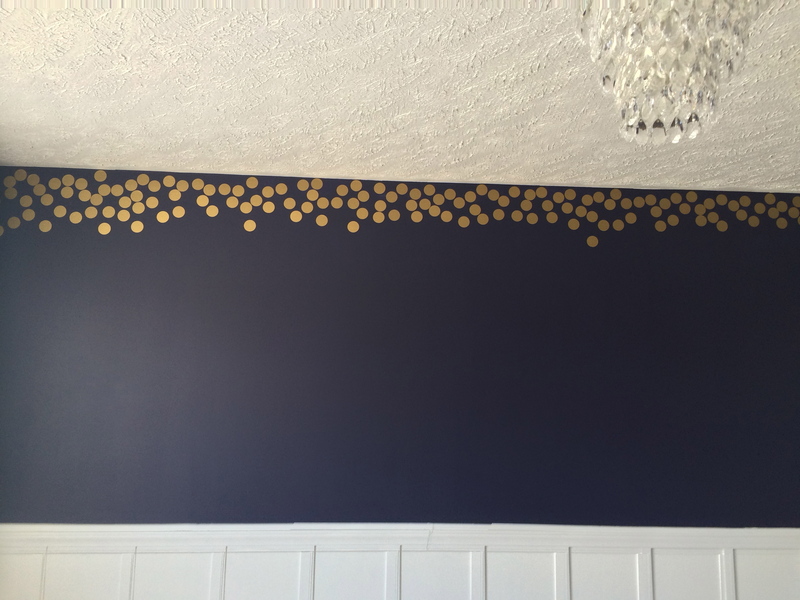 When my sister-in-law and brother-in-law stopped by the house and we gave them an “updated” tour, I mentioned my idea and my sister-in-law offered to make the gold decal dots!! I was thrilled! 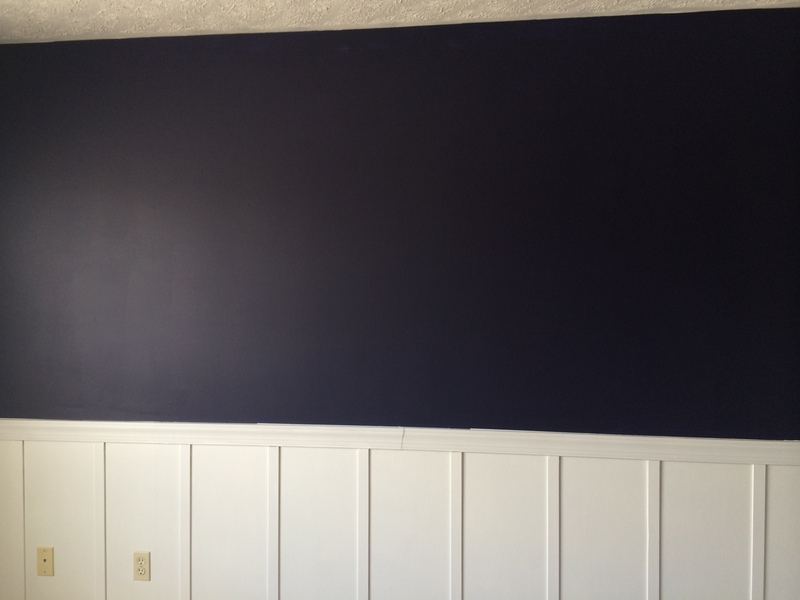 Not long after, I was able to put them up on our bold navy/purple walls and just can’t stop staring at how pretty it is! Now applying the decals is the best part! I didn’t measure a thing! I requested ~150 decals and got ~340 (I know, she’s awesome!) 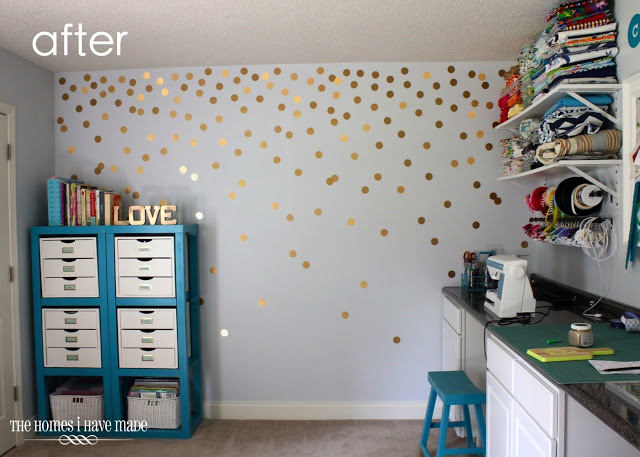 and was able to just clutter them at the top of the wall and scatter them down. 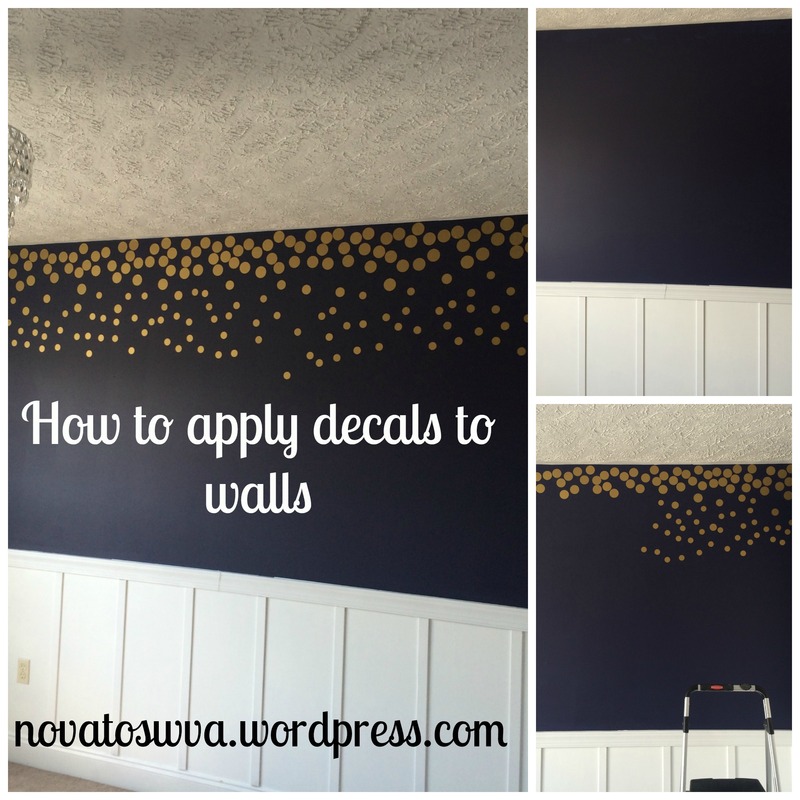 I also love that the decals won’t be in the way of any pictures we will hang in the future as the ceilings are pretty tall and the dots don’t even come to my eye level!